LOS ANGELES (CelebrityAccess) — LiveXLive Media, Inc. announced that they have closed its acquisition of Slacker Radio, a venerable streaming music and personalized radio subscription service. Focused on U.S. and Canadian markets, Slacker was founded in 2004 by Dennis Mudd, the former CEO of MusicMatch, and Celite Milbrand. An early entry into the streaming market, Slacker allows music consumers to create personalized internet radio stations tailored to their tastes. The service boasts 1.5 million monthly unique users and more than 400,000 subscribers on its paid and ad-supported platforms and provides access to a catalog of more 13 million audio tracks from all three major music companies and many independent labels. According to LiveXLive, they plan to combine content programming teams from the two companies to build out a network of audio and video channels across traditional PCs, mobile, television apps, and in-car audio systems. If you're unfamiliar with LiveXLive, the company creates and streams live music entertainment, with festivals, clubs, venues, concerts. According to LiveXLive, its influencer network includes 85 million combined followers, and the company has content agreements with global brands such as Tesla and Samsung. "LiveXLive is leading the evolution of the music business and we believe Slacker is a perfect complement to our video platform," said Robert Ellin, CEO and Chairman of LiveXLive Media. 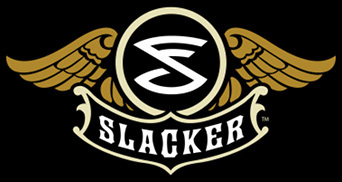 "We look forward to working with the Slacker team as we combine the best audio and video content across live and recorded music. By combining LiveXLive's leadership in music festival streaming and our massive music video content with Slacker's proven audio platform, we immediately expand our reach and dramatically accelerate our ability to deliver world-class music-related entertainment across platforms – on a global scale," continued Mr. Ellin.